The VAEEC often supports legislation on energy efficiency. Below you will find information on our legislative priorities from 2015 to 2018. To learn about legislation we are currently supporting, check out our Policy page. 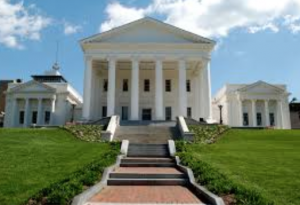 SB 894 (Wagner)/ HB 560 (Sullivan): These bills would create the Virginia Energy Efficiency Revolving Fund to provide no interest loans to localities, public schools and public institutions of higher education for energy efficiency projects. Get the latest update on bills working through Virginia’s 2017 General Assembly session. Below is a list of bills that were introduced in Virginia’s 2016 General Assembly session that the Virginia Energy Efficiency Council endorsed. Read the VAEEC statement on energy efficiency legislation passed in 2015.